Koshkonong Prairie with its twin churches at both East and West Koshkonong is one of the focal points from which Norwegian Lutheranism spread to many parts of the American continent. In 1844 at the request of pioneer Norwegian immigrants newly-ordained Johannes Wilhelm Christian Dietrichson came to Koshkonong from Norway. Under his leadership congregations were established and log churches built at both East and West Koshkonong. During his pastorate (1844-1850) Dietrichson traveled widely and organized a number of other congregations in the pioneer communities of Wisconsin and Illinois. 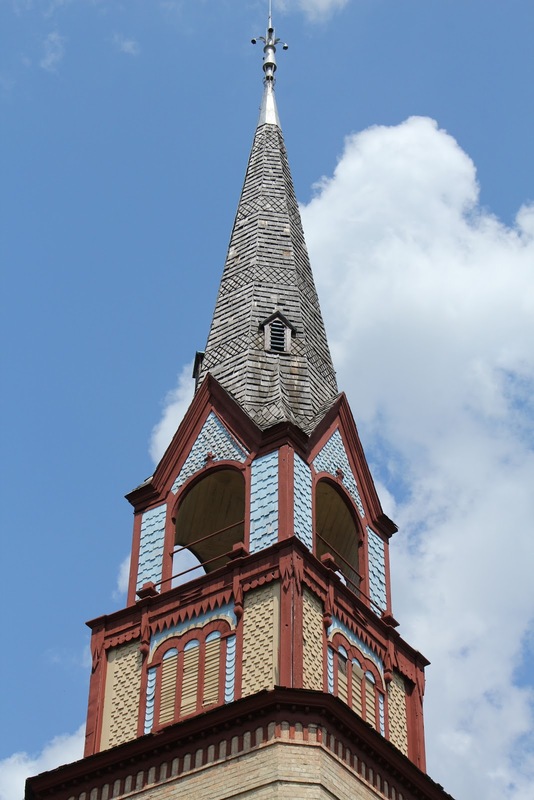 Both community and church prospered with the steady flow of Norwegian immigrants. Koshkonong became known as "Queen of the Norwegian settlements in America" and for a time in the 1870's hers was the largest single parish in the Norwegian Lutheran Church, numbering over 4300 members in the several congregations. 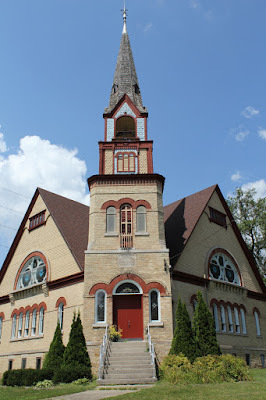 As a result of the predestination controversy in the 1880's both the Koshkonong congregations split resulting in four congregations in place of the former two. The merger of three Norwegian church bodies in 1917 largely restored spiritual unity to the Koshkonong community. The church and marker are located adjacent to westbound East Church Road, west of its intersection with Hillside Road, Cambridge, Wisconsin 53523. This marker is No. 11 in the Dane County Historical Society Markers Series. The marker is adjacent to the cemetery. 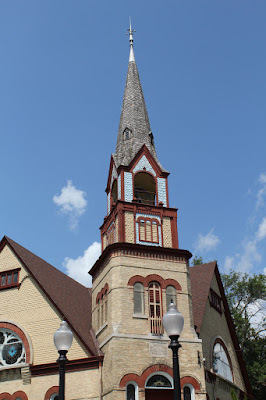 The church is located in Cambridge, Wisconsin.